Interestingly, General Motors' largest division, Chevrolet, may never have been created had GM founder William Durant not been forced out of GM. After his ouster from GM, Durant was determined to show the world that he was still a force in the industry. He teamed up with race car driver Louis Chevrolet to start the Chevrolet Motor Company of Michigan in 1911. Louis Chevrolet had worked with Durant before, driving Buick race cars when Durant was the head of Buick. Chevrolet became so successful that by 1916, Durant's new company had acquired 54.5 percent of General Motors. This meant Durant was once again the head of GM. In 1918, Chevrolet was folded into General Motors; since that time, the Chevrolet line has been GM's top seller. A continuous full line of products has helped Chevrolet maintain its sales dominance, ranging from big and comfortable vehicles like the Impala, to performance icons like the Corvette, to the utility of vehicles like the 1937 Suburban--considered by many to be the first SUV. Another factor Chevrolet's success has been the performance and reliability of its engines, from the inline six-cylinder introduced in 1929 and nicknamed the "Cast Iron Wonder" to the small block V-8 introduced in 1955. The small block Chevy V-8 is a design so enduring, its basic design elements are still in use today. It enjoys the distinction of having the longest production run of any mass-produced automotive engine. Notable Chevrolet models include the 1955-57 Bel Air, a car that all but defines automotive styling of the era; the short-lived rear-engine Corvair; the Corvette, America's most enduring sports car; and the Camaro pony car. The Camaro has such an iconic reputation that it has received more press and blogged anticipation for its return in 2010 than it did before it went on hiatus in 2002. Chevrolet continues to be a dominant force in the GM stable, and the No. 1 reason why GM was the world's largest car manufacturer until passed by Toyota in 2008. The success of Chevrolet pickups alone has carried the manufacturer over the years. Like the rest of GM, Chevrolet is working to redefine itself in the context of an industry and market in transition. The 2008 Chevrolet Malibu was a car that was built to finally give Honda and Toyota a run for their money. With improvements in ride and handling, interior comfort and fit and finish, the Malibu was intended to make Chevrolet competitive once again. Chevrolet has been working on improving the rest of its lineup as well. 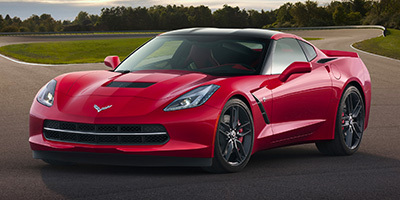 With a carbon fiber-laced, supercharged Corvette hitting the market, plans for a new compact in the works, hybridized versions of its most popular SUVs and trucks available; and the soon-to-be-released Chevrolet Volt (a car projected to be capable of traveling 40 miles on a single electric charge), Chevrolet has the product to be a dominant player in the market once again. However, with GM currently losing money and cutting brands, Chevrolet's future is uncertain.